This is the sixth BT city mug with error so far. 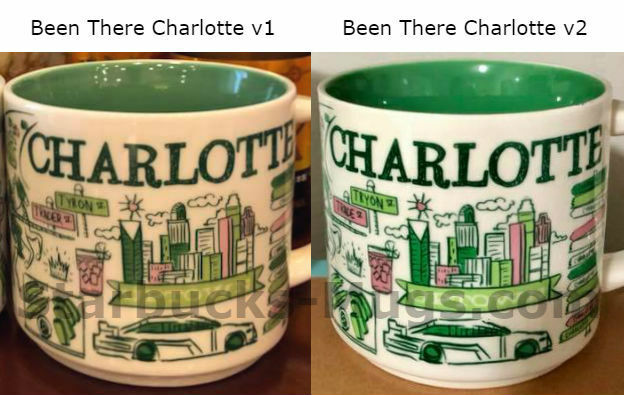 With the release of Been There Charlotte v2, Starbucks has fixed the names of the streets on the sign on the front of the mug. 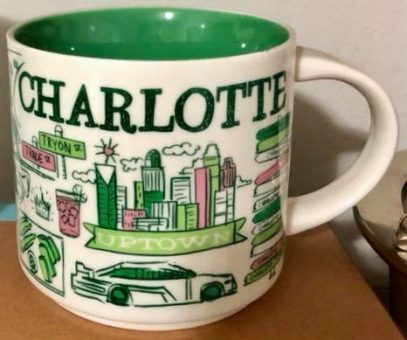 Instead of “Tyron st.” and “Trader st.”, which is wrong, it now says “Tryon st.” and “Trade st.” So again, we see two errors on the same mug. Nice job, Starbucks. As for the intersection itself, it splits Charlotte Center City (a.k.a Uptown) into four neighborhoods. Does anyone know who designed these mugs? Is there any illustrator credited with the designs?